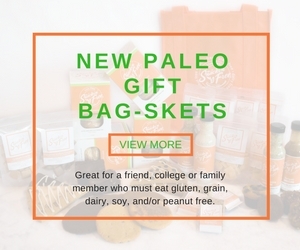 Mrs. S at Snackin’ Free is the wizard behind the creation of delicious paleo friendly foods. A huge part of her success is in researching every individual ingredient she uses in her recipes. One of which is Himalayan Pink Crystal Salt. What is Himalayan Pink Crystal Salt? This naturally pink and pure mineral substance (the cleanest form found anywhere in the world), gathered from the Himalayan Mountains has been used for thousands and thousands of years as a natural medicine and therapeutic cure. The Himalayan Mountains are a mountain range in Asia separating the plains of the Indian subcontinent from the Tibetan Plateau. The Himalayas are spread across five countries: Bhutan, India, Nepal, China and Pakistan. The climate ranges from tropical at the base of the mountains to permanent ice and snow at the highest elevations. Some studies claim that about 200 million years ago there were crystallized sea salt beds which were covered with lava. Imagine this – the salt was subsequently covered with snow and ice and this preserved and protected the salt from modern day pollution in a pristine environment. What are The Core Benefits of Himalayan Pink Crystal Salt? Studies have shown that there are many major benefits of using this amazing product of nature on a regular basis. Few of the benefits listed below will provide us with a “foundational education” as to why it is so valuable and sought after, as a natural remedy! More and more people are gravitating towards all natural products especially with food items. The Himalayan Pink Crystal Salt is a true source of minerals and bio compounds. It is widely regarded as the cleanest, purest, and most “mineral dense” version available on the planet. 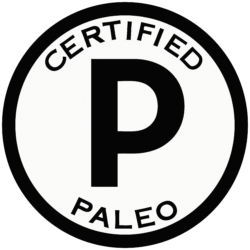 Some experts have concluded that this is partly due to the fact that it is only found in the Himalayan mountain range and partly due to the fact that those who sell it do not “cut it” with lesser compounds, diluting its’ original pure value. Therefore Pink salt is a direct source of 84 minerals and other bio compounds that the human body needs. We have all read about the importance of detoxifying the human body. There are two important ingredients to help you go through the detoxification process, water which is most important to the detoxification process and salt, which aids in the transfer toxins from healthy cells to the bloodstream – then pushing them out of your system. People with high blood pressure will tell you that salt is not encouraged by medical practitioners but with Himalayan Pink Crystal Salt, studies have shown that it aids in the lowering of blood pressure and is absorbed into the bloodstream more effectively than regular salt. Having the right amount of the Himalayan pink salt in the body helps increase blood circulation while lowering blood pressure at the same time. Perhaps because it is so pure in nature, these little pink pearls provide relaxation of mind and body. 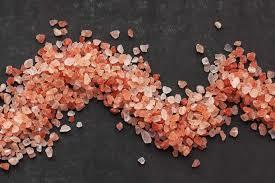 The loss of electrolytes and salt in the human body causes fatigue and dreariness but the unique composition of pink crystal salt allows it to be absorbed into the bloodstream much more effectively and efficiently than the traditional salts – allowing it to restore and replenish energy swiftly. With more and more people suffering from sinus issues and respiratory conditions, pink crystal salts are known to be helpful. They emit negative ions which, when mixed with hot water, dissolved and used with a netti pot can clean up sinus issues and help improve other respiratory conditions (including asthma). When the body and mind are relaxed it improves sleep, causing total relaxation of muscles as well. There is nothing more satisfying than sleeping well, sleeping regularly and feeling healthier and more regular. Supplementing your diet with pink crystal salts can help improve the condition of the human body and mind providing everything the body needs to replenish and restore overnight. Here is a treat for you after a long day at work, because Himalayan Pink Crystal Salt has been proven to balance body acidity and alkaline levels, preparing a Himalayan Pink Crystal Salt bath will help create a true balance between your acidity and alkaline levels in your organism. Just add 2 pounds of this mineral to a single warm bath – soak and relax!